Two years ago, the people of First United Methodist Church in Groesbeck, Texas adopted the mission statement of the Central Texas Conference as their own. The mission statement was further enhanced and reads: “Our purpose as a mission church is to make disciples of Jesus Christ for the transformation of the world. Our threefold approach to making disciples is to engage every participant in passionate worship, Bible study through accountability in a small group setting and hands-on participation in serving others through missions.” In addition, every class, organization and entity of the Groesbeck church was asked to implement this mission statement in their own setting and to ensure their purpose and goals supported this overall mission of the church. The church council has also been restructured from strictly an administrative body to that of 75 percent ministry celebration and mission planning and 25 percent administrative needs such as budget, trustee and other committee reports. While the transformation is ongoing and the faith-stories numerous, I offer the following two narratives as examples of our church in action – one concerning the overall church, the other, our United Methodist Women’s group. The vision of the church is a “church without walls.” From this focus, ministry with the poor became an important “determined need.” As a result, the church has adopted the local housing authority and calls the ministry “The Liberty Project.” When considering Holy Week services, it was decided to move outside the walls and comfort of the sanctuary and take the church to the people. Instead of a Holy Thursday service inside our church, we shifted our focus outside and “Holy Hamburgers” was born. A large BBQ pit was setup in the parking lot of the Liberty Village Housing Authority and the charcoal was lit as people were coming in from work. Tables and chairs were setup in a grassy area. Some of folks of the church hid Easter Eggs for the children, while others took their places at various tables. Even though the event had been advertised in the Liberty Village newsletter, people were reluctant to join us and watched from the safety of their porches. The children, as in so many instances, soon broke the ice and headed out and joined in the egg hunt or played Red Rover. As the burgers and hot dogs cooked, the parents and others decided to join us. In a short time it was no longer “us” and “them,” we became simply “us.” There was no service, no preaching, not even an expectation. There was, though, love, acceptance, laughter and of course, food! We will return when the next Holy Week rolls around to take the relationship further - to share the “why” of our presence by offering Christ. Holy Burgers are the only step our church is taking toward removing the walls between our congregation and our community. The United Methodist Women’s (UMW) group was also “reorganized” under the new mission statement. In doing so, the group moved meetings times to the lunch hour to encourage younger ladies to attend. Emphasis was placed less on meetings and administrative functions and more on the needs of the local community. Our UMW now has several functions, including a book study club and crafting club meeting monthly at Liberty Square, another housing authority location. A retreat is planned and scheduled at Still Water Lodge at Glen Lake Camp and the church is excited to be welcoming residents of the housing authority to the retreat right alongside the UMW. 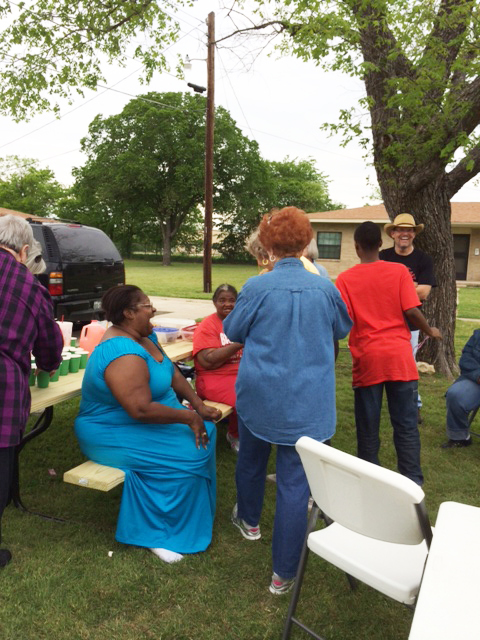 Groesbeck UMC is excited to be able to “do church outside our walls” with the residents of these housing authority, and we’ll continue to look for more ways to be in mission with our community and make disciples of Jesus Christ for the transformation of the world – at least the corner of the world known as Groesbeck, Texas. 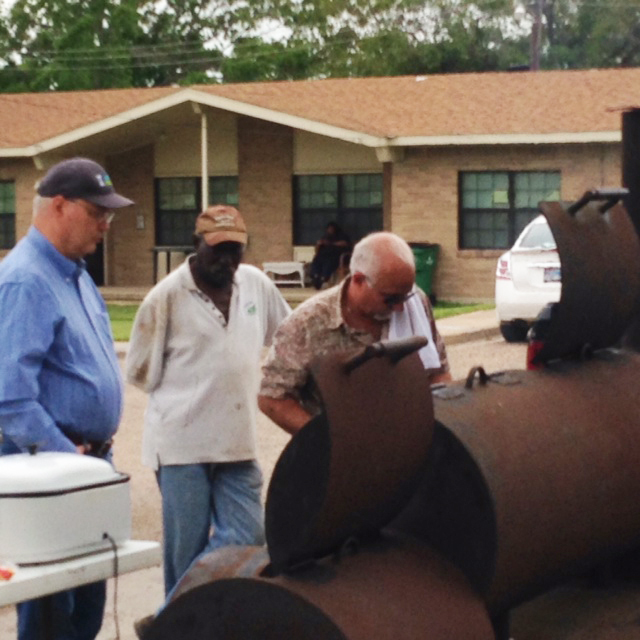 *Steve is the senior pastor at First United Methodist Church, Groesbeck Texas.